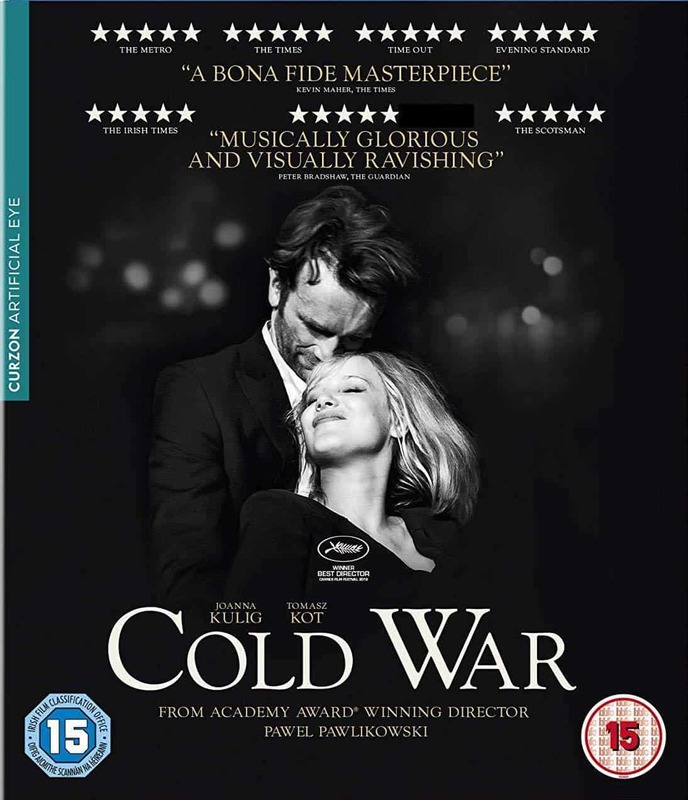 With Cold War (2018), Pawlikowski has turned from nightingale to ornithologist. 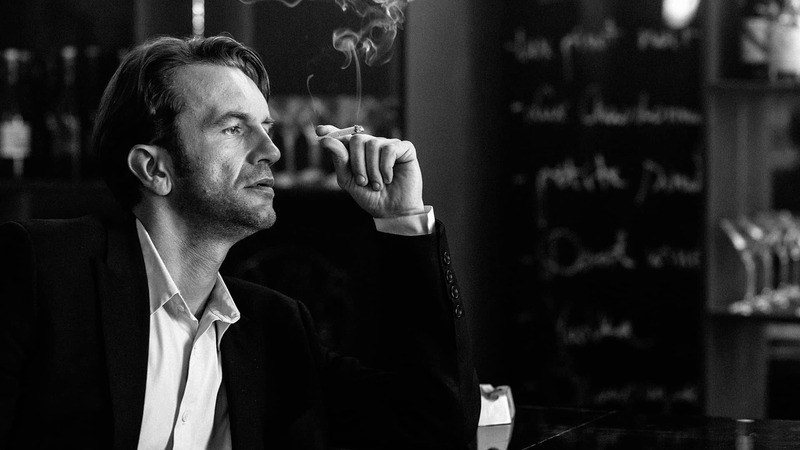 For this is the study (not simply the song) of a tempestuous relationship between a musical director, Wiktor (Tomasz Kot) and a singer, Zula (Joanna Kulig) – even as it charts the post-war Communist era through rural Poland, Berlin, Paris, and Yugoslavia. Perfecting the use of the rabbit-duck illusion, this film also reveals itself as a subtle exploration of the director’s own relationship to Poland and to film, with the protean Zula representing lover, Motherland, and artistic muse. This optical illusion is extended through the ingenious use of black and white photography as Communist-controlled Poland is made to lour portentously then pathetically, while Paris (that ancient haven for intellectual émigrés) is made to gleam seductively then seedily. The music, meanwhile, provides a deeply felt commentary on the right-angled relationship of culture to politics – moving, as it does, from state-sponsored ‘folk’ music across central and eastern Europe, to the sexually-charged rhythms of rock ‘n’ roll and the freewheeling jazz solos of the Latin Quarter. The sublime Ida (2016) displayed much more of film’s negative capability, I thought – accepting the past’s “uncertainties, mysteries, doubts”, while denying the Mitteleuropean rage for order. The tumult of the on-off affair between Wiktor and Zula is only becalmed by a visit to a burnt-out church in the countryside. We first encounter it incidentally, when a boorish servant of the Communist state is seen urinating among the birch trees that stand bare on its once sacred ground. When we return, it is with Wiktor and Zula as they seek to make the ultimate commitment to each other; for each other. Inside, we can see that the church’s missing dome has created an oculus that opens out onto the heavens. Ahead of the film’s final act, it provides a powerfully symbolic reminder that all earthly power is but weak and fleeting in the eyes of enduring love. 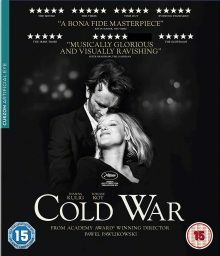 Cold War is out now in the UK on DVD, Blu-Ray and digital formats, released by Curzon Artificial Eye. Tragedy or one big joke?